The following is a guest post by Ramona, a freelance web designer and personal finance blogger with PF Today. If you’d like more information about submitting a guest post on Money Q&A, check out our Guest Posting Guidelines. You worked until you were 55, then retired. The state would pay a pension that was enough to live off. And you were also paid that pension for as long as you were alive. Guaranteed. We can’t work for 30 years (like they did), then retire and live 30 more years on a state pension plan. The state cannot support all the retirees today, so, if you rely on the social security retirement, you’re in for a pretty nasty surprise. The number of work years has increased and many countries are trying to make us work until we die, if possible, and the state funds are no longer enough for us all. Here is why we need to plan for our retirement and start saving money until it’s too late. A small percentage of people are rich, the rest are either poor or barely making it. If you are already on a low income, imagine how life will be when you have no income at all. This is why a limited budget shouldn’t keep you from properly saving money for retirement. Is your employer offering you a matching contribution in your 401(k) or Roth 401(k)? Then make the effort to meet their percentage. Investing lower would mean you are leaving money on the table. Even if this means cutting back on other expenses, this can boost your retirement savings and be worth the hassle a few decades from now. One great resource to manage your 401k retirement plan is blooom. Let the experts at bloom take a free peek at your 401k. Get real advice on how it’s doing and how it could be performing better. When you become a member, blooom then makes trades to optimize your account based on your goals. Blooom can manage your 401k, 401a, 403b, 457, or Thrift Savings Plan (TSP). Be sure to read my review of blooom. Blooom - Grow Your 401k, Free Analysis! Price: Free Analysis of Your 401k Get personalized suggestions on how to invest your current 401k. No Hidden Costs. Cancel Any Time. 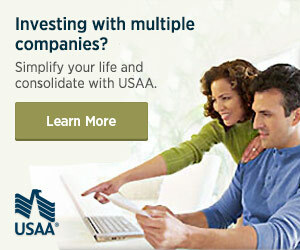 Analyze 401K for Free. Simple To Understand. Get a free 401k analysis now! Wonderful job. But don’t stop here. There are other retirement saving options to be tried. If you can get your hands on any other retirement funding solutions, start slowly investing in them as well. An IRA for example. Maybe a Roth IRA, too. Years ago, when reading about minimalism, I thought these people are crazy to buy so little stuff and keep their houses uncluttered. In the past months, my view has changed. We both earn pretty well and this also translated into a spiraling lifestyle inflation. While we still don’t bother buying too much gear ourselves, our daughter has way more stuff than a 4 year old would need. Almost 50 blouses/t-shirts, 30+ pants, close to a hundred puzzles, 60 or more plush toys etc. It’s true most of the items were bought from discount stores. She also received presents from dear friends and relatives, but it all adds up to dizzying totals. The costs wouldn’t be as steep if we tried to sell the items once daughter overgrows them, but since we’re more on the charitable side, all the toys and clothing she no longer uses are donated to less fortunate children. My epiphany came after we started spending more time at our rural house, somewhere near the city. We can’t carry all our junk there and, since the house is still under renovation, there’s very limited storage space. Imagine my shock when I realized my kid doesn’t really need all this stuff to be happy. We take some clothing with us and 2-3 plush toys. Few puzzles and activity books. Her favorite thing in the village is to just see her trees grow in our small orchard, walk on the hills together with her father and our Carpathian Shepherd dog or play in the sand we buy for renovations. We decided to stop all purchases altogether and only buy few things when needed. This should allow us to slowly declutter and be able to save money more aggressively. And yes, I plan on selling some more expensive items (stroller, breast pump etc.) and not just gift them anymore. If you find yourself on such a dangerous overspending slope as we’ve been, just stop and reassess your priorities. Is all the junk you own making you truly happy? Probably not. So start decluttering and stop buying the junk back. Ideally, you should use Craigslist and eBay to sell some of the stuff you don’t need anymore. Maybe a garage sale to free up space and earn some money. This money can get into a savings account for your future self to be more secure during retirement. Becoming more of a minimalist (even a little) allows you to stop spending this much and free up money for more important stuff. If you have a big house, but don’t need all this space (remember, you started decluttering), you can find a smaller rental and pay less each month. For homeowners, either sell and buy something cheaper or, even better, get a smaller house and use the difference between the rent you pay and the rent you charge to fund your retirement accounts. We have 2 city apartments that should earn us a pretty decent income. And our village house which is being renovated now and will become our retirement haven. This alone would allow us to fund our retirement fully. There’s almost no article I write about how to become financially independent, prepare for retirement or pay off debt without this strategy. There’s just so much you can save or declutter. You cannot save into the negatives, so, if you really want to get ahead, find ways to earn some money. Bake cookies for special events. I know women who take a small easy recipe and bake some delicious cakes or cookies for people who are too busy to do this themselves. They use only fresh ingredients and the results are so yummy. I have a friend who also prepares food for special events (salads, meatballs etc.). Catering food that’s delicious and very lucrative for her. She also sells veal and chicken meat to people in the city. She doesn’t raise and slaughter the animals, but has allied with few people in a nearby village, buys their meat and resells it for more bucks. It’s a lot of running around, but it’s also profitable. Handmade items sell well if you know where to find your clients. You can also make money from preserves, cooked properly, from natural ingredients. There are so many ways you can earn an extra buck. Tutor, walk dogs, do landscaping for neighbors, the opportunities are limitless. Not all people who try to earn an extra buck will make their new small business a success and be able to fund their lifestyle with it, but even few hundred bucks now and then can help you save for retirement. What other solutions have you successfully applied or plan on employing to save for retirement on a limited budget? Ramona is a freelance web designer and personal finance blogger. She loves traveling, cooking homemade meals and playing around with her daughter and their rescued dog.